What's Senator Joe been doing? "It’s more what we know about a person than what people say about a person. . . . I have not seen the things he’s been accused of or people talked about." Specifically on the matter of Session’s . . .
Will Senate Democrats Work With Trump? 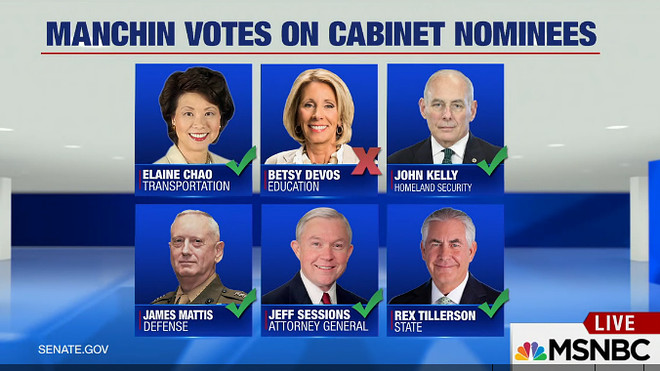 The 10 Senators To . . .
What have WV's senators been doing lately? Sunday's Charleston Gazette-Mail "Perspective" section featured articles by West Virginia's two senators. 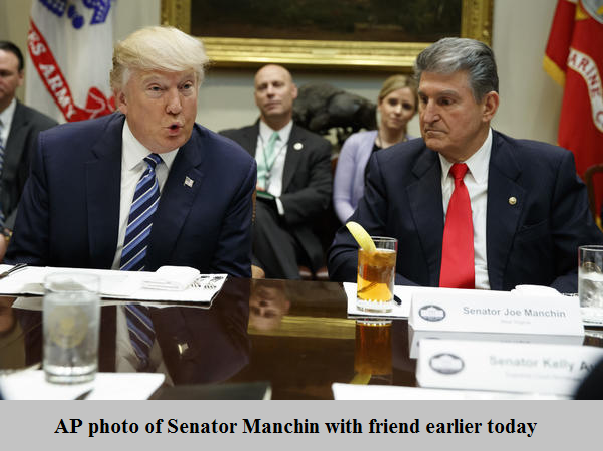 Joe Manchin's "W.Va. needs its public schools" had as its subheading "Secretary of Education nominee DeVos would be a poor choice for education." In the article, Manchin explains why he will not . . .
Will Senator Joe vote to confirm Betsy DeVos? Manchin will not give a free pass to all GOP nominees. He has flagged two who are troubling to him: Betsy DeVos, the billionaire conservative philanthropist nominated for education secretary, and Rep. Tom Price (R-Ga.), the nominee . . .